Welcome to the Administrative Office of Pennsylvania Court’s (AOPC) PAePay Bail website. This site allows the public to submit electronic bail payments on Magisterial District Court and Common Pleas Court cases. This site has been approved by the Unified Judicial System of Pennsylvania and is maintained by the AOPC. Payments may be made using a Visa, MasterCard, Discover, American Express, or ATM card. The maximum amount that can be charged to a credit card for electronic bail payments is $20,000 per transaction. A non-refundable convenience fee of $2.75 will be assessed on each transaction submitted. The ability to pay bail electronically may not be available in all counties or for all docket types. Please click here for details regarding individual county participation. This website provides an alternative means of paying bail. Unpaid bail balances will not be updated until payments are processed by the court. If you are acting as the defendant’s surety, you must contact the court or prison in which the person is incarcerated in order to complete bail-related documents upon submission of an electronic bail payment. The AOPC makes no guarantees regarding the timeliness of an online payment and its effect on the release of the person from custody. The information on this site is made available by the AOPC. The Unified Judicial System and the AOPC make no representation as to the accuracy, completeness or utility, for any general or specific purpose, of the information provided herein and as such, assume no liability for inaccurate or delayed data, errors or omissions. 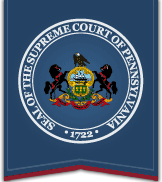 The information on this site does not constitute the official record of judicial or administrative actions of the respective courts of the Commonwealth of Pennsylvania. If the official case records of the individual courts differ from the information provided in this system, the official case records should be relied upon. Users of this payment system are responsible for verifying the accuracy, currency, and completeness of the information contained in the system. This site provides information pertaining to bail assessments and does not provide information as to other outstanding financial obligations owed to Pennsylvania courts. Unpaid bail balances will not be updated until payments are processed by the court. It is your responsibility to ensure that payment is remitted in full and on time. The AOPC is not responsible for any delays in a person’s release, including delays resulting from the unavailability of this payment system or any processing delays.